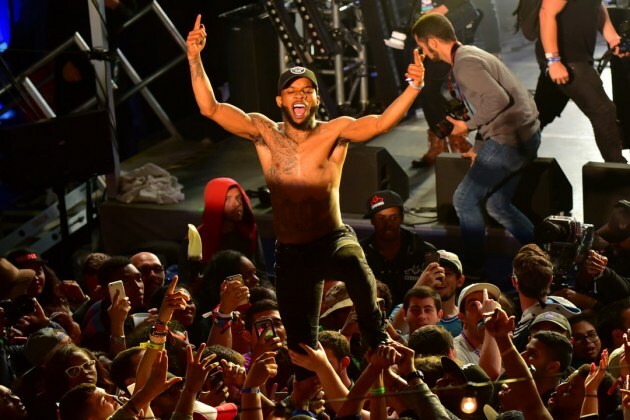 RAW HOLLYWOOD : TORY LANEZ RELEASES VISUAL FOR SONG TITLED "LUV"
TORY LANEZ RELEASES VISUAL FOR SONG TITLED "LUV"
Tory Lanez just gave us his new song titled "Luv" a few weeks ago and now he is back with the video for the song. The song is set to appear on his upcoming album I Told You which is set to drop later on this year. Tory Lanez is letting us know that he is a newbie to the game, but he doesn't plan on going anywhere, anytime soon. Lanez has been dropping quality music since he came onto the music scene and "Luv" is no different. The singer/rapper also has been working to make sure the fans get familiar with who he is and what his music is about by touring (he just came off of tour with A$AP Ferg). This new video gives off a perfect summer vibe with the various scenes that are shot throughout the video. The crooner takes us to a house party full of beautiful women, to a desert, and on a slight road trip with his love interest in the video. It definitely makes you wish you were apart of the video so you could partake in some of the fun.